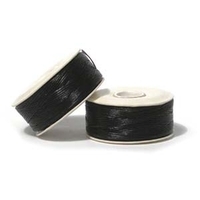 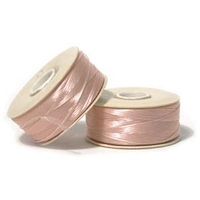 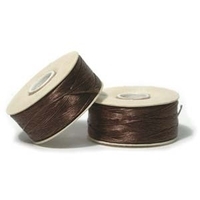 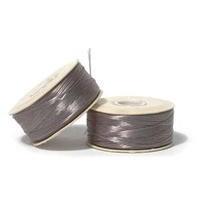 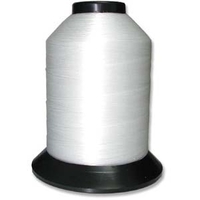 Nymo nylon thread is the thread of choice for loom and off-loom beadweaving and bead embroidery. 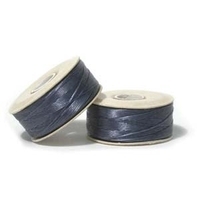 Bobbin yardage varies by thread size, listed here from thinnest to thickest: 00 = 140 yards; 0 = 100 yards; B = 72 yards; D = 58 yards; F = 38 yards. 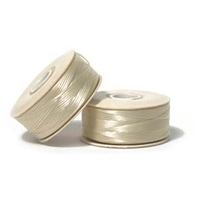 Condition the thread with beeswax and stretch a bit before using. 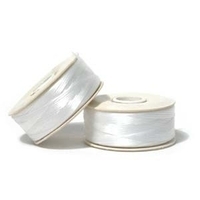 See our beading needles and sizing chart to help you choose the right needle and thread for your seed bead size.